A lot of business owners ask me about cost-cutting measures you can do in the salon. One way I keep my service costs low is to source out my regular supplies such as nail files, buffers, towel, and other sundry items through various wholesalers. 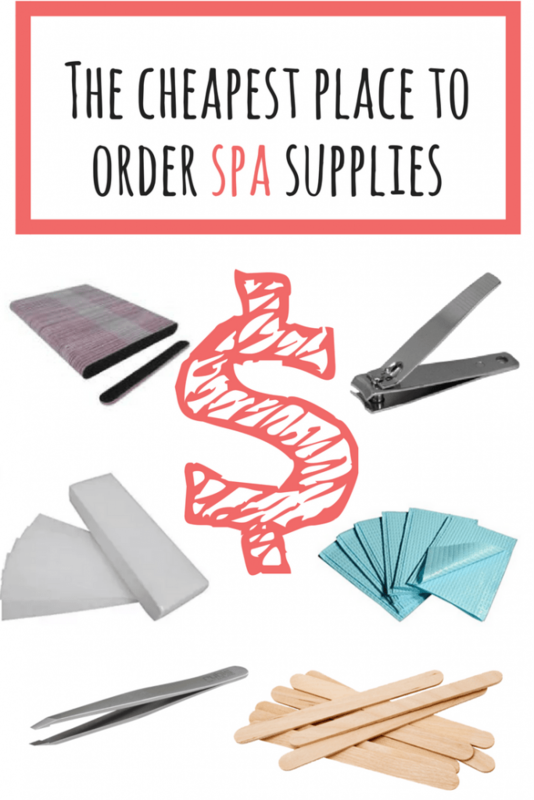 I have found the cheapest place to get spa supplies and I want to share that with you. A couple of years ago, before the Canadian dollar dropped, we could order a ton of supplies out of the United States and get a reasonable deal but when the dollar dropped that all stopped. One thing I had done was to order products through Amazon and through eBay and I could get items for cheap. I looked at the return packages. I noticed they were coming directly from China or another far away country like that. I did my research, and I found this nifty little website you could get all kinds of products for super cheap direct from the manufacturer. You can literally get almost anything. I have tried some of the beauty products and gel polishes and some of the beauty masks and stuff but a lot of them are Asian beauty products are not regulated like they are in Canada. I’m always hesitant to purchase it for my clients, but for myself, I’ll try anything. I’ve been ordering products and supplies for a number of years from this website and because of that, I was able to work out a deal with the company to get an affiliate link. Any products you order by clicking on the links on this website I will get a commission for. This commission does not get added to your price of the product so it doesn’t cost you anything. I’ve done the research I found the best sellers. I’ve put together a list of the items I order and who I order from. If you click on the link so you can just order it directly from the company. One site I order from is Aliexpress. The site can be overwhelming and there are different ways of figuring out who is verified and who is not. In my years of ordering from them, I’ve only ever had one or two problems. The only downside is sometimes it can take up to 2 months to receive your item. I use this site rarely now as I am in love with Amazon. Here is the link anyways for you to take a look at some of the items you can get. In my post, I’ve included some direct links or you can also just search around on site. Remember when your purchase through any of the links through my website it helps paid for my website and the hours I spent researching which suppliers are the best. I’m hoping this helps you guys I’ve always been the type of person to figure out where the cheapest nail file is where I can get a nail file for $0.03 vs $0.07. When you’re a home-based or small business every single dollar counts. 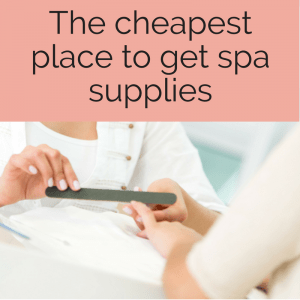 So where is the cheapest place to get spa supplies? If you love Amazon you will find a Prime membership is a must! If you have a great deal you want to share please let us know!